Ashi Singh who is currently seen on the show Yeh Unn Dino Ki Baat Hai recently unwrapped gifts from her fans so without any further ado let’s see what all she received. We hope that your token of love and appreciation has reached Ashi. Keep sending your love and we promise to deliver it to your favourite stars. And don’t forget to subscribe to India Forums, addiction at its best. 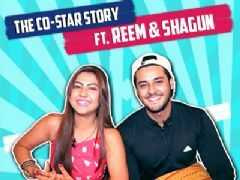 User Comments on video titled "Ashi Singh Aka Naina Receives Gifts From Her Fans | Exclusive"
Thanks to Yeh Un Dinon Ki Baat Hai for introducing us to talented actors like Ashi Singh and Randeep Rai. Ashi Singh you are a genuine actress. Sooo cute...Yeh un Dinon ki baat hai...Ashi Singh best as Naina.